Today, I received an anonymous tip with only a single image attached (see above). 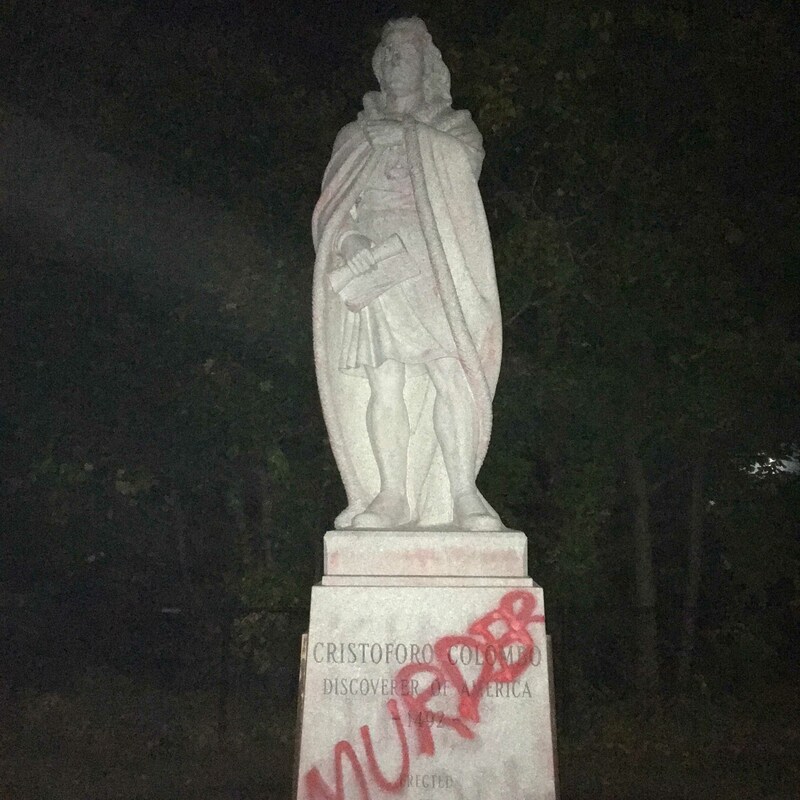 It appears as though someone spray painted “murder” on the statue of Columbus that sits at Harbor Park, alongside the Connecticut River and in the vicinity of Wesleyan’s boat house. 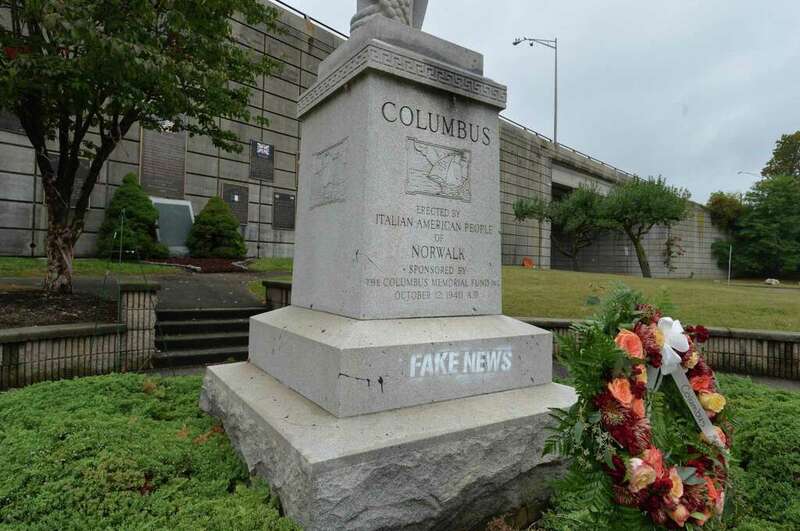 The tagging is especially meaningful given that today the federal government, the state of Connecticut, and the City of Middletown recognize Columbus Day. Police departments around the state and country have been working together after learning that an anarchist group was advocating widespread vandalism against Columbus monuments, Bridgeport Police Chief Armando Perez said. The Press’s article goes on to report that, in response to these taggings and tweets from the anarchist group Revolutionary Abolitionist Movement, local police departments are ramping up protection efforts for these…um…pieces of stone. 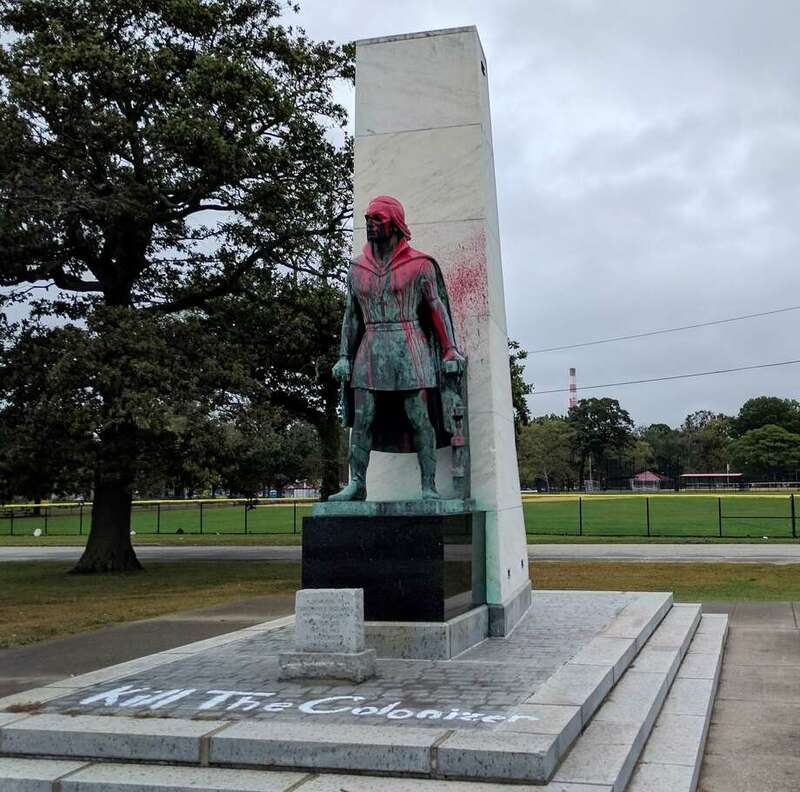 Last year, when the same statue of Columbus in Middletown was tagged by replacing the word “discoverer” with “looter,” the Middletown Press also reported on the incident. The reporter who wrote the article reached out to Professor of American Studies J. Kehualani Kauanui (who helped to found the Native American and Indigenous Studies Association and has also been active at Wesleyan in getting the University to comply with the Native American Graves and Repatriation Act) for comment on the incident that similarly coincided with Columbus day. Instead of getting trapped in the ethical debate over these statues’ tagging, our public officials should be seriously questioning whether Columbus should continue to be celebrated, whether that be in the form of a governmental holiday or a local monument. Posted by wilk in Featured on October 9, 2017 at 11:25 PM.